You can find all of the ingredients below at Kroger. The wrappers are made of wheat, so this is not a Gluten Free or Paleo recipe. If you're interested in the liquid aminos, find them at Hillcrest Artisan Meats or Whole Foods. But - support our local neighbors first, Little Rock. Mix the first 6 ingredients thoroughly but lightly. Refrigerate overnight or leave to marinate a few hours. Fill a ramekin with some water. 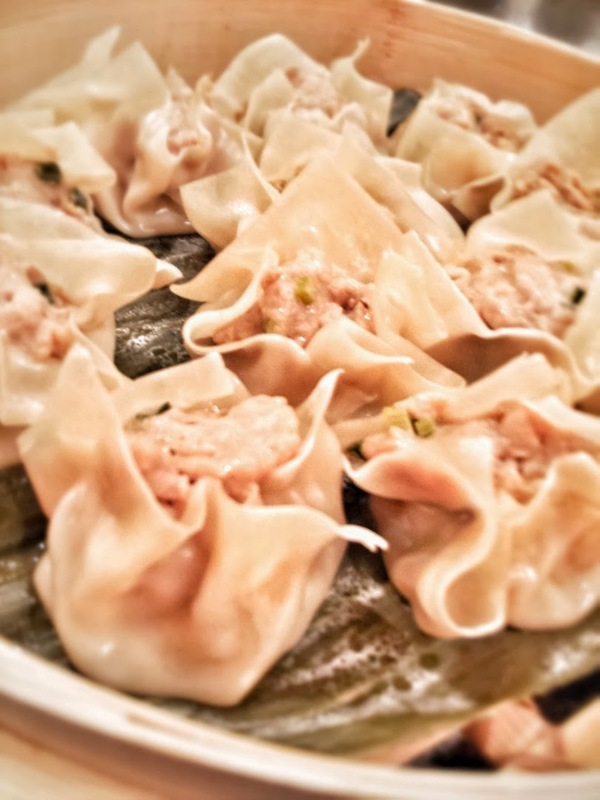 Fill each won ton wrapper with a heaping teaspoon of meat mixture. Bring the wrapper sides around the mixture as if to close up but leave the top exposed. (As seen above in the picture.) Use water to seal the sides if needed. Line 2 bamboo steamer baskets with parchment or banana leaf. Steam over high heat for about 15 minutes or until the chicken is done.